More than 160 million Americans carry credit cards. Unfortunately the vast majority of those consumers are misusing their credit cards, resulting in a national average of $15,000 in credit card debt per card-carrying household. 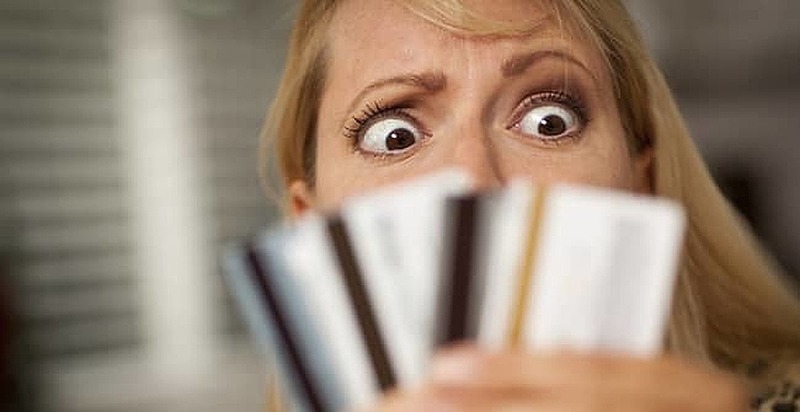 “Irresponsible credit card use leads to financial loss, either through interest and fees or increased cost when your credit profile is damaged,” said ClearPoint Credit Counseling Solutions credit counselor Thomas Nitzsche. Whether it’s overuse or misuse, credit card use mistakes can result in burdensome consequences for your financial well-being. With the insight of Nitzsche, we’ve compiled a list of the most common credit card no nos and their alternative remedies. Credit cardholders may believe they are staying on top of their bills by covering the minimum balance on time each month, but truthfully this often means the account is approaching it’s maximum limit, if it’s not already there. Like any other personal crisis, out of control credit card debt shouldn’t be faced alone. Isolating yourself doesn’t isolate the problem but will probably exacerbate it. Partner with a credit counselor or a friend and come up with a debt management plan to prioritize and properly address needs according to your personal financial profile. “Fees are nominal and good payment history on the plan will help rebuild credit versus the credit damage of a debt settlement or bankruptcy — assuming the credit cards are still with the original creditors and not already in collections,” Nitzsche said. On average, a debt management plan cuts interest loss in half and lowers the total monthly payments by 20 percent. Sixty-month payoff plans are available, and some may take less time to execute. Credit card providers are exceptionally good at enticing consumers with a smorgasbord of rewards and perks for swiping their cards. Don’t become blinded by the miles or the points. Is a $10 payoff really worth the $250 you had to drop at your favorite retail store? Usually that’s $250 you wouldn’t have ordinarily spent, and now you’re lured in to spend $10 more, perpetuating the cycle. But to be fair, that would be an above-average cash-back rate. Credit cards can be useful tools to alleviate cash flow problems, earn cash-back or just to avoid carrying cash everywhere you go. However, using them for all of your expenses can be dangerous. “If you have $0 credit card debt and have a steady income and the discipline to pay off the cards each month, it can be advantageous to put all possible purchases on credit cards as they earn cash-back, rewards or travel status,” Nitzsche said. As a general rule, we advise against swiping to compensate major expenses like medical bills, rent or utilities. 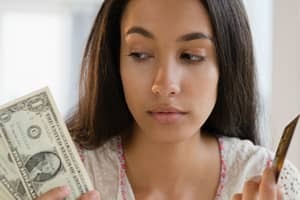 While it may seem more convenient than cash or check, this convenience can come with hefty fees and interest that add up over time. “Look for cards with rewards programs that match your spending profile,” Nitzsche said. Your credit card should align with your spending habits, rather than you conforming your spending to maximize the payoff of the particular program. There are tons of frugal fanatics out there that encourage cash-only living as a budgeting strategy. Avoid the interest, the payment discipline and the stress of credit card use all together. However, “if used responsibly, they are a useful tool,” Nitzsche said. Credit card use builds your credit, which can enhance (or destroy) your financial profile. Credit checks are crucial tools used by potential employers, landlords and car dealerships to evaluate your potential as an employee, tenant or buyer. Refraining from use of such a powerful tool can be just as devastating as misusing it. When it comes to credit cards, misconceptions and misuse can produce gruesome repercussions for your finances. Avoid these perilous mistakes by getting the facts straight about credit card use. Make your monthly payments in full, make them on time and see rewards for what they are — perks for regular spending, not incentives to overspend.